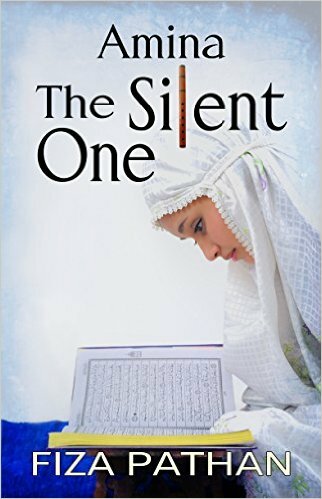 Amina: The Silent One by Fiza Pathan is a compelling, realistic, and sometimes stark read. Amina is essentially a social commentary in the form of fiction. It is the story of Amina, a young Muslim girl born and raised as an unwanted girl child in the slums of India with an unique musical gift. The book starts with an introduction to Amina’s family at her birth and the social dynamics that make the family mourn and lament the birth of a girl child. We then follow Amina’s life as she grows into a teenager, deals with loss and death, and the daily problems that women face in a patriarchal society like India. Amina is then married off in her teens to a 34-year-old man called Iqbal in an arranged marriage, who in turn forces her into prostitution. Throughout all of this, Amina finds solace in her music. This is the story of her life and the life of women in general in India. Amina: The Silent One is a gritty, powerful story written in a wonderfully engaging way. The writing style is extremely readable and I couldn’t put the book down; I read it all in one go. Fiza has succeeded tremendously in portraying the conditions of women in India and other similar male-dominated societies. I really appreciated the fact that a book like this truly brings to light the many severe issues that women face in over half of the world such as female infanticide, the practice of dowry and arranged marriages, the second-class status of women in society, an utter lack of basic and fundamental human rights, sexual harassment and abuse, and lack of education and opportunities for women. All in all, this is an outstanding book and one that I would very highly recommend to everyone.